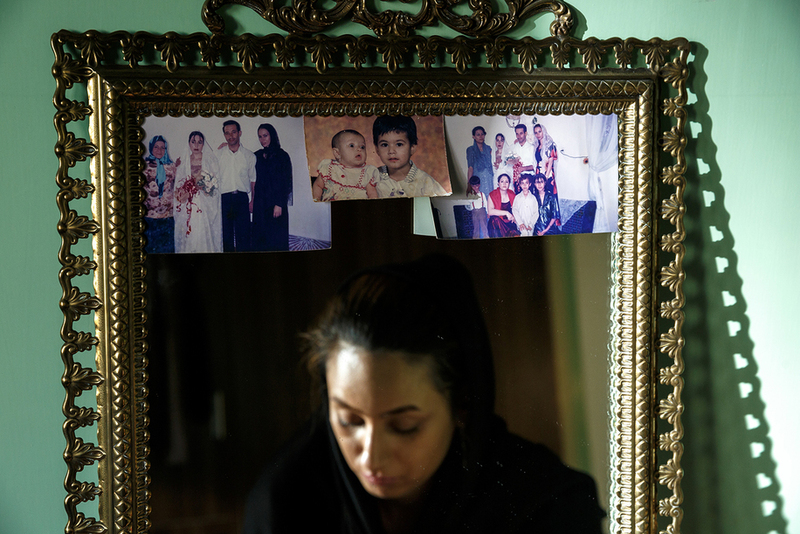 Because of her father’s addiction and beatings, Samira attempted suicide twice at the age of 15. Her father used to harass his family whenever he used drugs at home. In her second attempt, Samira uses gas for suicide, yet her mother arrives and saves her. Samira tells her mother that whether she or her father should live in this world ... After a while, Samira, her sister, Somayeh, and her mother decide to kill the man. 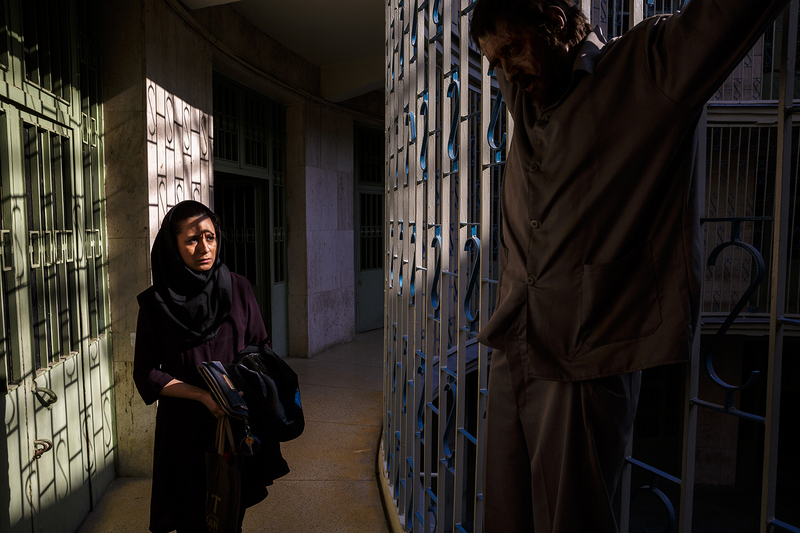 Samira’s father travels to Zanjan and one night he returns home without notice. Nobody knows about his return; so, they decide to execute the murder plan. After eating dinner and using drugs, her father goes to bed. Samira’s mother lays next to her husband and wraps a shawl around his neck. Samira and her sister pull the two ends of the shawl, yet they are scared and drop the shawl. Samira’s mother continues and chokes her husband to death. After the murder, her mother consults with her boyfriend and together they decide to bury the body in their house with the help of Samira and Somayeh. After a few months they move to another house. Two months later, the new tenant finds the body and following police interrogations, her mother confesses to the murder with the help of her children. Samira and her sister are sent to a “Correction and Rehabilitation Center (Prison)” and their mother is sent to the adult prison. At the age of 17, Samira is sentenced to death and at the age of 18, she is transferred to an “adult prison”, where she is molested. Unable to tolerate terrible psychological pressures, Samira decides to tell the truth. At the court hearing, she confesses that she and her sister have only witnessed the crime that night and their mother has committed the murder on her own. Regarding her silence, she tells the court that she had thought that if 3 people take the blame for the murder, they won’t be sentenced to death or execution. Samira has a few old photos of her childhood. In one photo she stands beside her sister, Somayeh. A photo of her uncle’s wedding ceremony, in which her mother stands beside her uncle’s wife. Her maternal family has rejected Samira. They believe that Samira has not kept her promise and has confesses in the court. Samira’s uncle has told her that he would take a bad revenge, if her sister (Samira’s mother) is executed. Because of her father’s addiction and beatings, Samira attempted suicide twice at the age of 15. Her father used to harass his family whenever he used drugs at home. In her second attempt, Samira uses gas for suicide, yet her mother arrives and saves her. Samira tells her mother that whether she or her father should live in this world ... After a while, Samira, her sister, Somayeh, and her mother decide to kill the man. 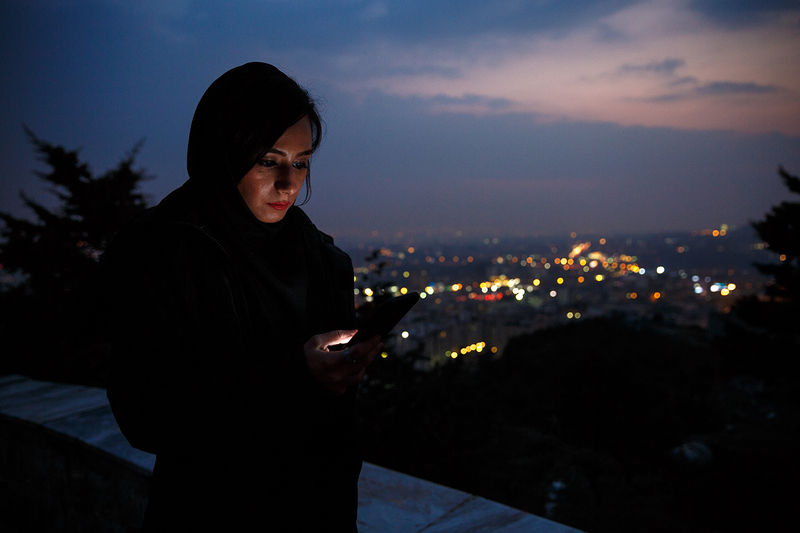 Samira’s father travels to Zanjan and one night he returns home without notice. Nobody knows about his return; so, they decide to execute the murder plan. After eating dinner and using drugs, her father goes to bed. Samira’s mother lays next to her husband and wraps a shawl around his neck. 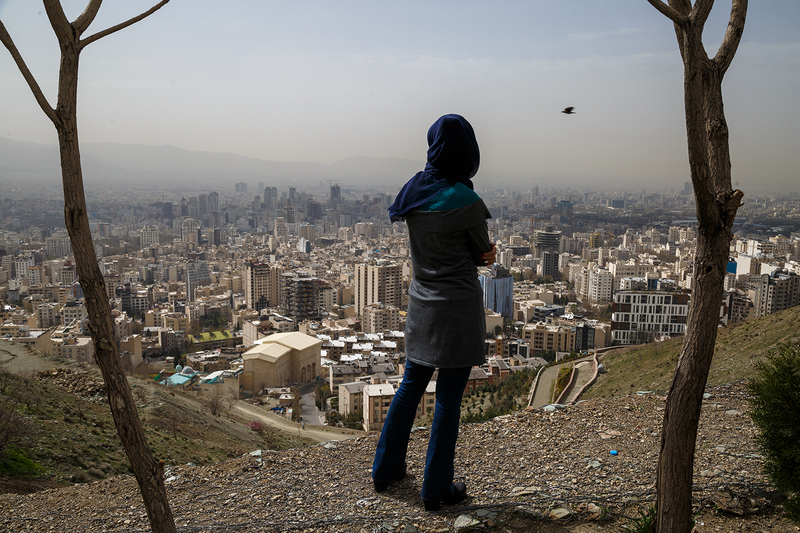 Samira lives in Tehran alone. She believes that living in this big city is very difficult. When you look at the city from above, you think everything is calm and quiet; but once you enter the city, you see all people are like wolves. This is especially annoying for me, as a single girl. 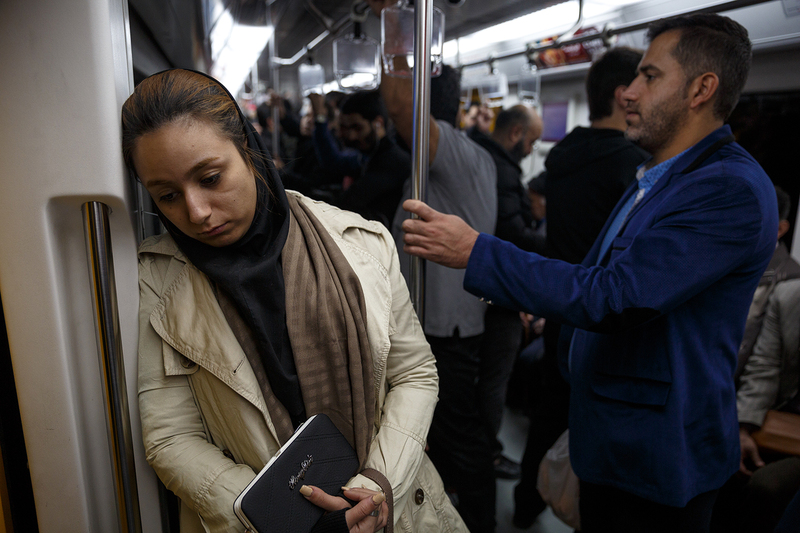 Samira says “"Patriarchal Iranian society annoys me. I have to use the subway to save money, but I cannot tolerate men’s stares”. After her release, Samira meets “Sara” who is a lawyer. Sara works on Children’s rights. She asks Samira to work in her office as her secretary. She says: “At first it was difficult for me to work in a law office; because the court notices I handled, reminded me of my prison time”. 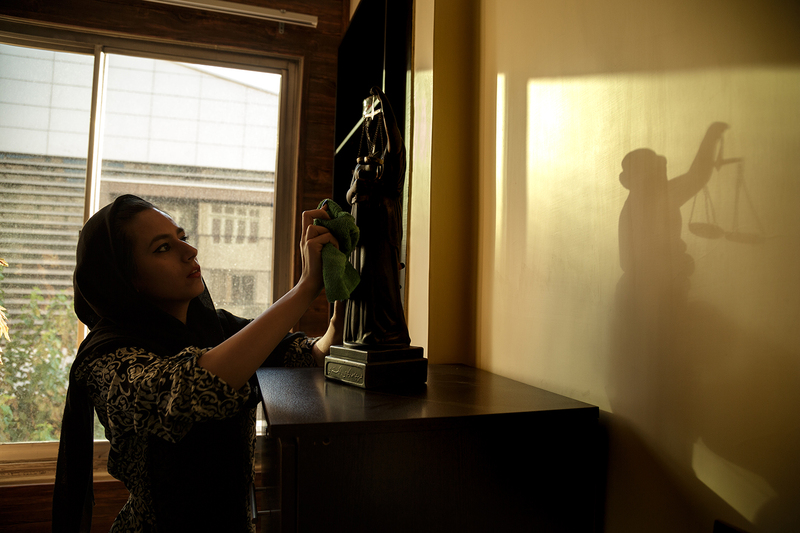 In the law office, Samira also dusts the equipment and furniture. She says: “The statue of justice is the worst thing in the world; because there is no justice anywhere in the world, and if there is, I have not seen it yet”. 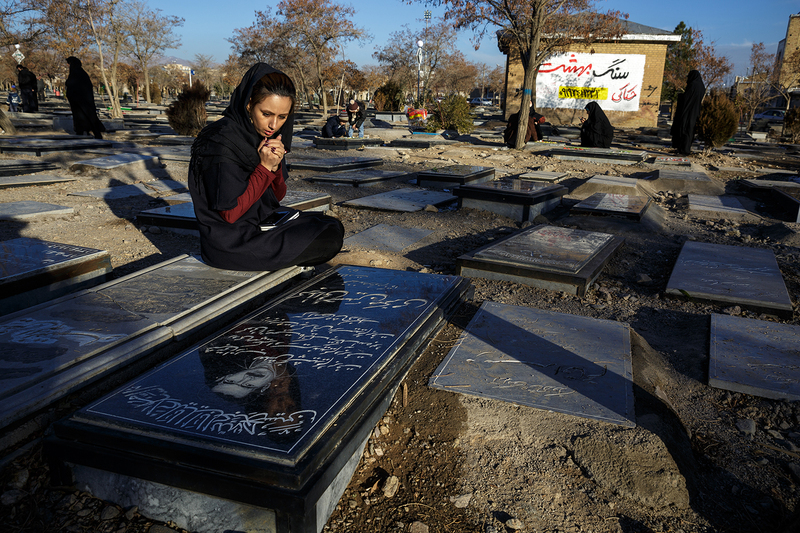 Several years after her father’s death, Samira visits his grave. She says that she still feels a sense of fear inside her: “He has died many years ago, yet I feel he may get up and beat me. I think my father died because of my mother’s poor management. At the time of the murder, I think my father died within 3 or 4 minutes, but because of her fear, my mother squeezed his throat for about 10 minutes to make sure of his death. I am still feeling that old fear”. On her way to the law office, Samira is attacked by a motorcyclist thief. She resists, but the man pushes her and throws her in a raceway. She breaks her leg; but they finally steal her bag. She has not gone to work for about a month. 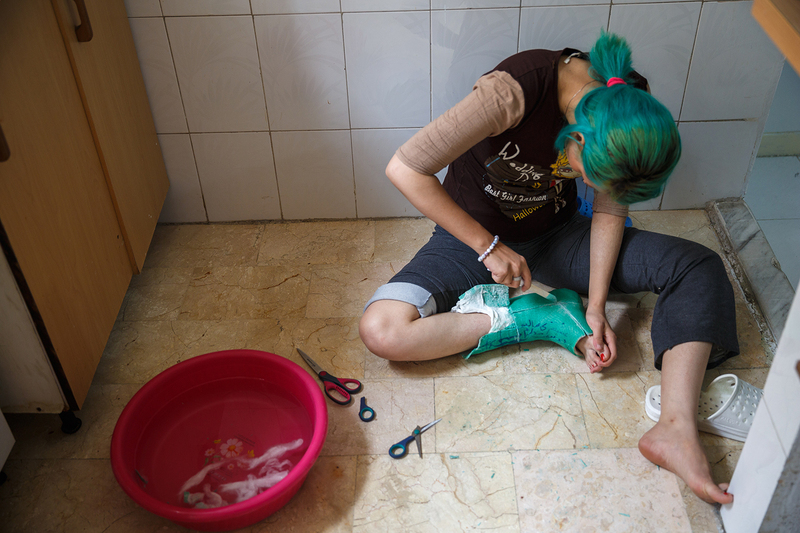 Samira has set her hair color with her broken leg’s plaster. After a while, Samira goes to prison to meet her mother. She tells Samira that her aunt and uncle will declare their consent with her release in return for a 250 million Toman Diyah. She asks Samira to give them the money and release her from prison. But Samira tells her it is impossible for her to collect the money. Samira believes that the distance between her and her mother was the result of her poor management, analysis and lack of decision-making power. Samira goes to a cafe with her friend “Neda”. They have met each other in prison. Neda has murdered her mother. Her plaintiffs have been her father and sister who have forgiven her later. She has always been in conflict with his family and the reason has been their age differences. Samira loves makeup and dying her hair. She says she has always played with a doll and a nail polish bottle in her childhood. I just opened my eyes and saw myself in the correction and Rehabilitation center (prison) for the crime I had never committed. Samira says: “My life in the “prison” was completely black and white; upon my release from prison, my life has become very colorful. I want to make up for that 5 years I have lost”. 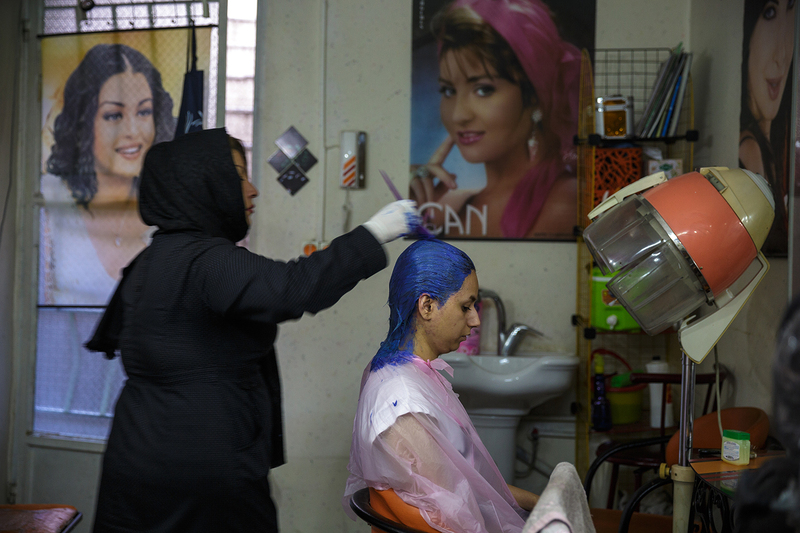 Samira spends 70 thousand Toman each month for dying her hair. Samira has no money to go to hospital and cut her broken leg’s plaster open. So she decides to do it at home. 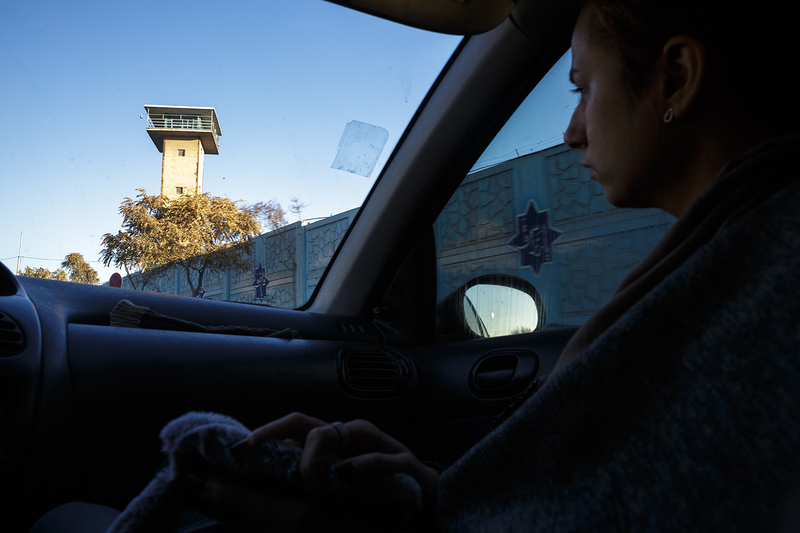 Samira visits an old prison in Tehran. The prison has now become a museum. Before Iran’s 1979 Revolution, it was women’ prison and then it was used by the Anti-sabotage Joint Committee (Komiteh Moshtarak) operated by SAVAK under the government of the Shah of Iran against political opponents. However, since 2002, it has been known as Ebrat Museum (Edification Museum) of Tehran, putting abuses under the Shah under display.. Samira is horrified. She says: “Many people have been terribly tortured in here. I’m glad I have not been imprisoned here”. After her release from prison, Samira has met a boy named Omid. She is sending messages to Omid. Samira has been with Omid for about 2 months. These days, Omid is the only person who understands her. 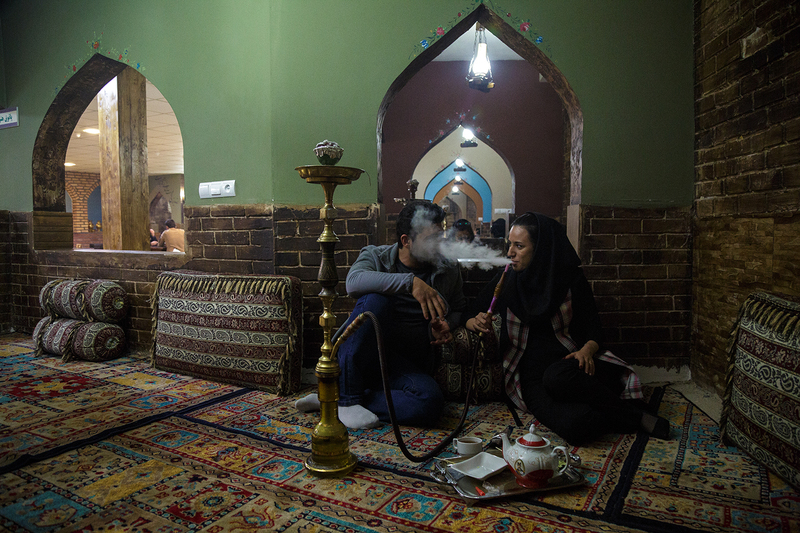 Like most Iranian youths, one of their hobbies is smoking Hookah at teahouses. Samira and Omid have been friends for a year and now they decide to marry. 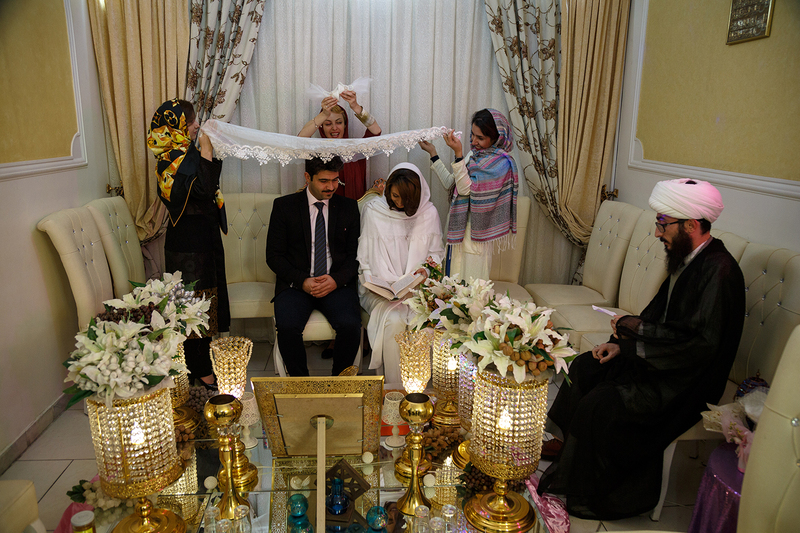 Sara, Samira’s lawyer is also invited to their wedding ceremony. She is happy that Samira has succeeded in her life. Samira says: “I do not know what would have happened to me, if I hadn’t met Sara and her family”. Omid loves Samira very much. Samira says: “In the correction and Rehabilitation center, when I was reading and signing my death sentence, the TV was showing a documentary about the sea. I thought with myself, I’m about 17 years old and I have not visited the sea yet and have not traveled anywhere. It was terrible to think that I can never see the sea”. 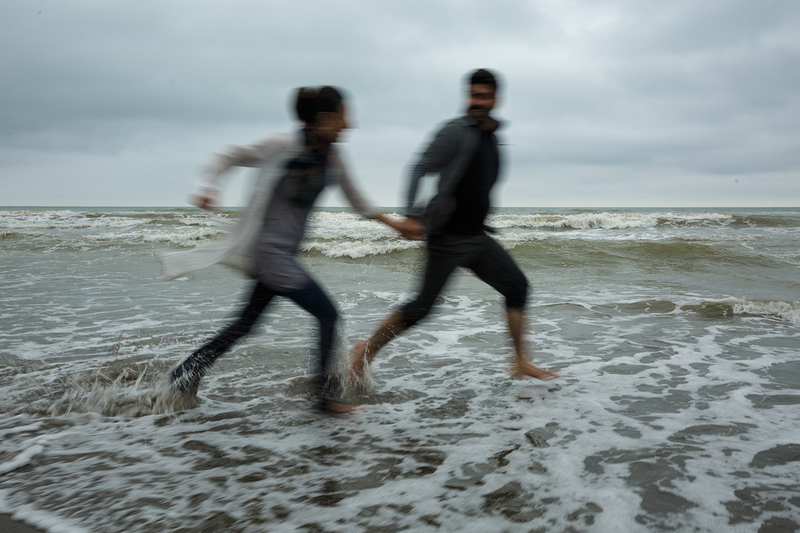 After her release and meeting Omid, Samira goes to the Caspian coast in northern Iran and spends great time there.